The first of five public hearings addressing the transition to district-based voting in Citrus Heights has tentatively been set to take place at the end of this month, followed by four more public hearings and final adoption in June. The Citrus Heights City Council voted unanimously on Jan. 10 to initiate the process to divide the city into council districts. The move followed receipt of a demand letter on Dec. 3, 2018, from a Malibu, Calif.-based attorney, Kevin Shenkman, who said the city’s current method of at-large elections to select council members dilutes the vote of Latino voters and violates the California Voting Rights Act, which favors district-based elections. She said additional materials will be released to the public in the City Council’s Feb. 28 agenda packet, which is published on the city’s website the Friday before each council meeting. According to the city’s tentative timeline, the first two public hearings — set for Feb. 28 and March 14 — will discuss composition of districts. A third public hearing is slated for May 9, where draft maps and the sequence of elections will be discussed. The fourth public hearing, listed on the timeline for June 13, is slated for a district map to be adopted and a new ordinance introduced. The final public hearing is listed for June 27, where the new ordinance is to be adopted. If adopted, the new district-based method of electing City Council members would begin in the November 2020 election. 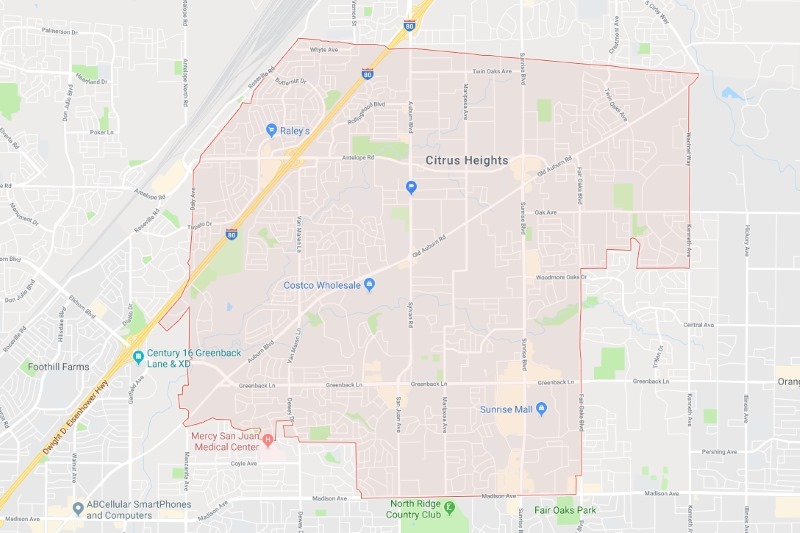 Under district-based elections, Citrus Heights would have five voting districts and each council member would be required to live in the district they represent and only be elected by voters of that district. What criteria will be followed to create districts? As referenced in a city staff report last month, the following criteria are legally required to be followed for the creation of new district maps. Each district must have equal populations or “shall be as nearly equal in population as may be,” which is known as the one person, one vote rule. Race cannot be the “predominant” factor or criteria when drawing districts. The districting plan must comply with the Federal Voting Rights Act, which prohibits districts from diluting minority voting rights and encourages a majority-minority district if the minority group is sufficiently large and such a district can be drawn without race being the predominant factor. Why is Citrus Heights pursuing district-based voting? Mayor Jeannie Bruins and Vice Mayor Jeff Slowey have said they reluctantly voted to move towards district-based elections, since no city has prevailed in prior lawsuits Shenkman has filed in other cities over similar claims. Shenkman’s law firm has successfully sued several cities who did not comply with prior demands to transition to district-based elections, including a lawsuit against the City of Palmdale that resulted in the city paying out $4.5 million in attorneys fees. As summarized in a city staff report: The CVRA took effect in 2003 and prohibits at-large election systems from impairing the ability of a protected class (e.g. members of a race, color, or language minority group) to elect candidates of its choice or its ability to influence the outcome of an election. Modeled after the Federal Voting Rights Act (“FVRA”), the CVRA was specifically enacted to make it easier for plaintiffs to challenge at-large voting systems employed by many public agencies. To prove a violation of the CVRA, plaintiffs need only show the existence of racially polarized voting—that there is a difference between the candidates or ballot measures preferred by the voters in the protected class compared to voters generally. Plaintiffs are not required to show that members of a protected class live in a geographically compact area or to prove an intent to discriminate on the part of voters or officials. According to a city staff report: No current council member’s term will be cut short, but when his or her term ends an incumbent can only run from the new district in which he or she resides. Thus, the three newly elected council members, regardless of where districts may be drawn, will serve their full four year terms, or until 2022. The term of office for each council member remains four years. Want to share your thoughts on how elections are conducted in Citrus Heights? Click here to submit a letter to the editor. The Sentinel’s policy is to publish every letter that comes in.